How To Resize Pictures Fast And Easy? Have you experienced a problem while uploading pictures on your WordPress blog that throws http error? That happened to me just last week while uploading my pictures for my post that has been published here days back. I have tried searching for solutions on the net and I just can’t find one that would fix my problem. I visited forums discussing the said problem but reading all those geekie terminologies is quite stressful for me. I was thinking that time, that the problem is my WordPress. But I was thankful to one blogger who mentioned about resizing the pictures before uploading it. I was like refreshed, and reminded about the 1MB limit per upload. So I Googled any resizing tool/site on the net. picresize.com is the site to be. The best resizer I have found. This is the best solution also if you are that Master Facebook Picture Uploader kind of person. LOL! With this tool, in just few clicks, you can resize your photos and then lessen your uploading time on FB among others. If you haven’t checked to picresize.com yet and if you want a simple “how tos”, kindly see the below screen grabs and see my numbered 1 to 6 instructions and comments. This is the very homepage of picresize.com Simple, no other eye soaring graphics on its interface and yet a powerful tool. This Cadillac SRX picture has a size of 2.2 MB which is obviously can’t be uploaded in WordPress. 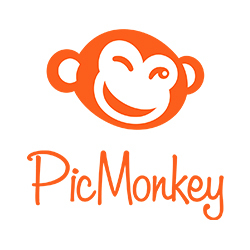 This tool is best also when you want to upload profile pictures for social networking and other sites that requires minimal picture sizes. If you want to see where’s that Cadillac SRX picture of mine now, it has been posted actually along with my other resized pictures in this post. Wait, did I mention that picresize.com is for free? Yes, it’s all free. And from this important function of resizing, they are also offering other best features that surely you’d also love. I would definitely refer this to my friends. Hope you find it useful. Cheers! Next story What Makes An Office Staff Fat? No problemos Nelson! How’s Abu Dhabi now? It’s been months already since my last visit of the capital. Cheers! Hahaha, that made me laugh. Picresize.com has that multiple files resizing but I suggest to do it in millions not the one time gazillions upload. LOL!